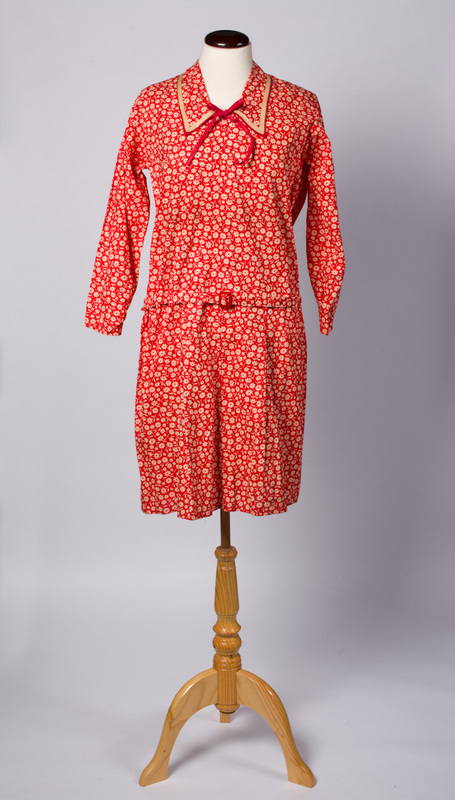 Summary: A day dress made of cotton, printed with a red background and cream daisies and leaves in silhouette, accompanied by a self fabric belt with a red buckle. Description: The dress has a V-neck with a pointed collar bound in cream and red, with a low waisted bodice and set in long sleeves gathered at the head and into cuffs. 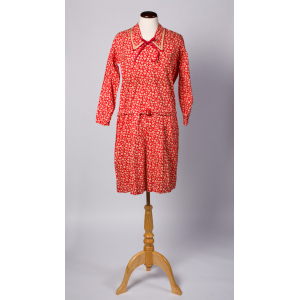 It has a red binding bow trim and the skirt has three inverted pleats at the front. Same style as HSW 006.